Kingsmere, Countryside Properties (Bicester) Limited’s development in Bicester, will be welcoming a first- class line up of retailers to its Village Centre in Spring 2019. Brands and retailers which have secured units at the commercial centre include Mid-Counties Co-op, Starfish (Fish and Chips), Domino’s Pizza, Haart Estate agents, Bicester Hairdressers and Busy Bees Nursery. 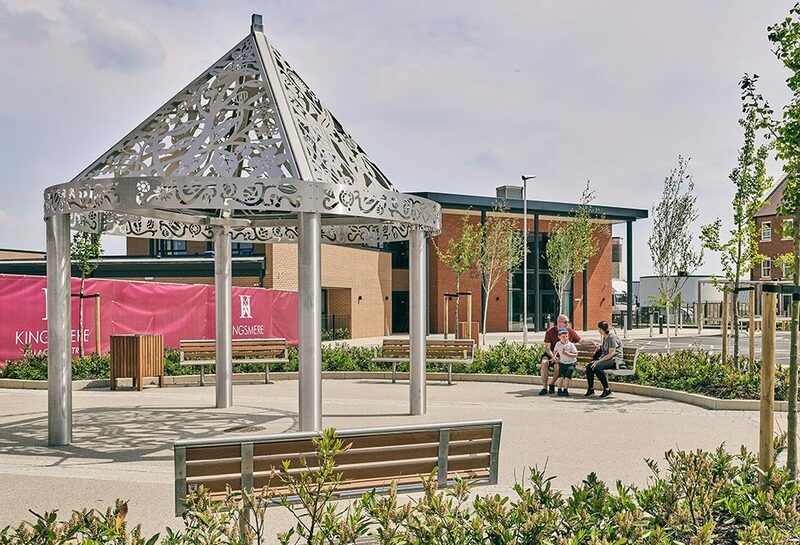 The Village Centre is situated on Whitelands Way, where the commercial units are currently under construction, adjacent to the new Community and Youth Centres, which were recently handed over to Cherwell District Council and will officially open this September. Andrew Carrington, Director of Countryside Properties (Bicester) Limited comments: “We have taken great care to design a Village Centre that will serve as the ‘heart of Kingsmere’, and we are delighted there will be such a tremendous line up of occupants for the use of our residents and the wider community. For a project of this scale, providing first-class amenities and a central point for residents to come together is crucial to its long-term success and vital to ensure the new community can flourish. Kingsmere is served by excellent transport connections and the development is home to a selection of house styles which have proved hugely popular for a range of home buyers.